Life insurance companies provide life insurance, pensions and other financial services. Actuaries are involved at all stages in product development and in the pricing, risk assessment and marketing of the products. In addition, actuaries fill key roles in financial management and the investment of policyholders’ money by developing strategies that ensure customers get a good return. It is currently a legal requirement that each UK life office appoints one or more actuaries to perform the ‘actuarial function’; advising the firm’s directors on the firm’s ability to pay claims and how to ensure that the life insurance and pensions benefits from the many millions of pounds invested by policyholders are secure. Firms that have with-profits business must also appoint one or more with-profits actuaries to advise the firm’s directors on the use of discretion in the management of with-profits funds, particularly the addition of bonuses to policies and having regard to the fair treatment of with-profits policyholders. With recent legislation leading to more private healthcare provision, insurance companies are extending their range of products to include medical insurance, critical illness and disability insurance. In an increasingly global business world, mergers between life companies are becoming more frequent. When life offices are bought and sold or life funds merged, actuaries tend to be retained by both sides. General insurance is a fast-growing area for actuaries, both within insurance companies, consultancies and at Lloyd’s of London, where they have certain statutory duties. Many are employed by consultancies who provide services to insurers and Lloyd’s syndicates. General insurance actuaries are also to be found in reinsurance and broking operations. 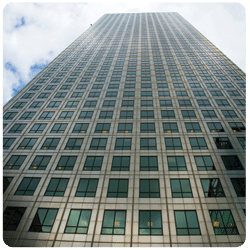 Insurance for large commercial risks. As there are many different factors that can affect the size and number of claims, general insurance companies employ actuaries to assist with their financial management, in particular in connection with premium rating and reserving. Actuarial and statistical techniques are used extensively in the analysis of often substantial amounts of available data. Statistical models are thus a key part of an actuary’s work. This analysis is then used to rate the risks and to ensure that claims reserves are adequate to meet the eventual settlement of insurance claims. Terrorist attacks, natural disasters and industrial diseases like asbestosis are all examples of insurance liabilities where actuaries have been integrally involved in estimating ultimate costs into an uncertain future. Nicole, Financial & Insurance Risk Actuary. Robert, Solvency II Analyst – Legal & General. Grant, Chief Actuary, The Co-operative Insurance. Nick, Head of Insurance Pricing. James, Chief Actuary for General Insurance.